Chip Apperson ate his first Grillswith when he was 17. 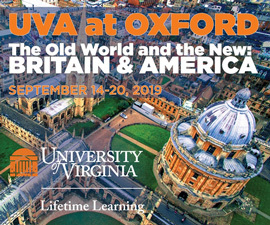 The high school senior had finagled a visit to UVA in 1973 for that once famous, since-disbanded annual party weekend known as Easters. He recalls ending a long day of revelry with friends at the University Diner. They ate one-eyed bacon cheeseburgers—a fried egg serving as the eye—before devouring the decadent dessert: two doughnuts, grilled (hence the “Grills”), topped with a scoop of vanilla ice cream (hence the “-with”). That night at the U.D.—and that dish—stuck with him. Apperson never finished his studies at UVA, opting instead for the restaurant business, but he’s brought versions of the Grillswith to restaurants across the country—starting at Shelby on the Upper East Side of New York in the 1990s, then at the Grove Grill in Memphis, and since 2011 at the High Hat Cafe in Uptown New Orleans. Apperson is not the only one to be paying homage to the beloved late-night dish believed to ward off hangovers; for decades of students, from the 1940s to the 1980s, the U.D.’s Grillswith was an integral part of the University experience. Late-night comedian Stephen Colbert—who did not attend UVA—even mentioned it in his 2013 valedictory speech on Grounds. Through the years, several other versions of the dish have popped up closer to home, notably at The White Spot on the Corner, hooking other generations of students. It’s even been known to be on the menu at ’Hoo weddings. Today, you can find it in several Charlottesville spots and at the 3rd Street Diner in Richmond. But it all started at that greasy spoon on the Corner. According to longtime U.D. owner Irvine Lee Shiflett, who died in 2014, the dish was born in the late 1940s or early 1950s. The U.D. served the dessert all day, but more were served late at night after students were finished carousing, says Lee’s wife, Fay Dixon Shiflett. 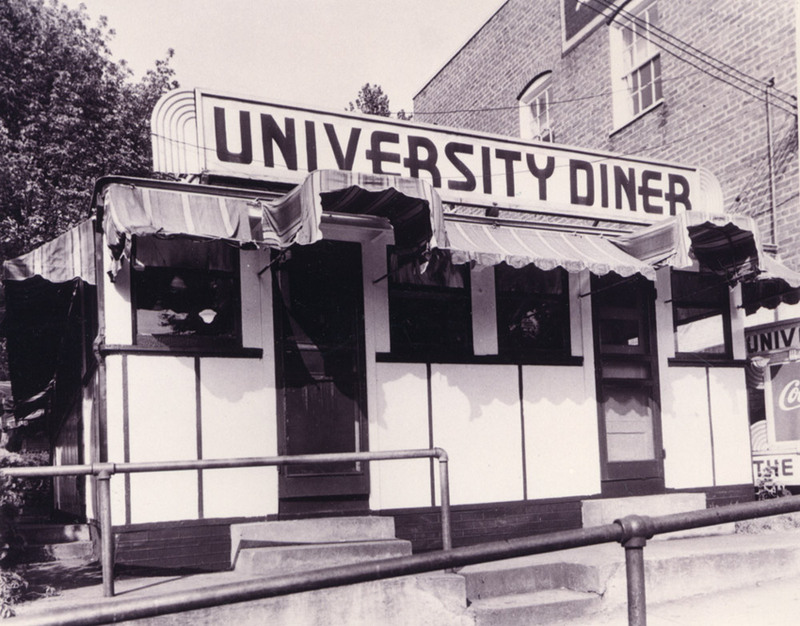 Opened in the early 1930s by Ben Anderson, the University Diner was originally a railroad dining car that sat perched at 1331 W. Main St. The short-order spot was an integral place for students to meet up with friends after parties. “There were absolutely no chain fast-food restaurants at the Corner or anywhere else in Charlottesville,” reminisces legendary UVA photographer Ed Roseberry (Col ’49) of his college years. He distinctly remembers ordering a bacon, lettuce and tomato sandwich, an 18-ounce milkshake and french fries for 45 cents at one of the Corner joints, he says. In 1945, Lee’s mother, Alma Shiflett, purchased the U.D., where she had been a waitress for a couple of years. She ran it with her husband, William Herbert Shiflett, and son Lee. When William and Alma ran the U.D., they were known for their kindness, Fay Shiflett says. If students didn’t have enough money to eat, Alma would feed them and say, “When you get out of school, we will settle up,” she recalls. William died in 1960, and later that year the U.D. railcar was replaced with a new brick structure, which still exists and houses Fig Bistro. Alma and Lee continued running the business together. Fay worked part time as a waitress, and when her youngest child was old enough, around 1971, she started working full time as a server. 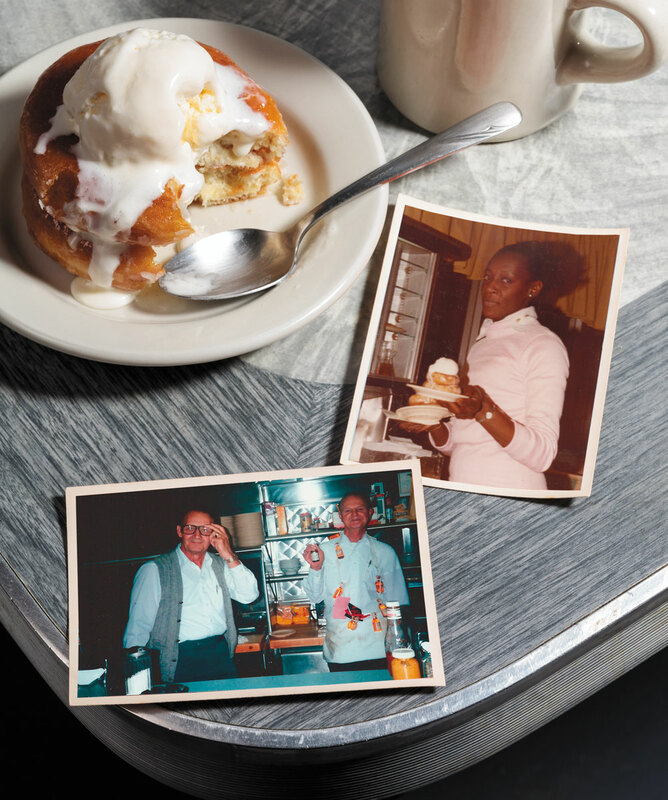 It was no easy feat for the Shifletts to keep the diner running around the clock for four decades. For only a few hours in the early morning, they’d lock the doors to clean up from the night before and prepare for the breakfast crowd, Fay recalls. One busy weekend, according to family lore, the diner closed for cleanup—and turned away some famous musicians. “That night some guys were banging on the door, and Mom opened up and said, ‘We are closed,’ and they said they were The Beach Boys. And sure enough it was,” says Lee and Fay’s daughter Pamela Wagner, who started helping out in the diner when she was in junior high, busing tables and working the steam table. That evening the short-order cook, Vernon Elwood Breeden, who operated the grill during the evening, had just gotten back from being out sick, and Fay wanted to give him a break. The most memorable employee, by all accounts, was Ethel Mae Booker, a small, mighty waitress who was known for carrying several plates on her arm at one time and kicking drunk frat boys out of the diner. “And they’d come back the next day and apologize,” adds Fay with a laugh. Booker was close to the Shiflett family and would come over for dinner and babysit the Shiflett kids during college break when the diner would close down. While Booker was working as a night waitress at the U.D., she worked during the day as a school crossing guard and then decided to pursue a new path. She quit her job at the U.D. to become a traffic control officer. Booker, who has since died, did return five years later to work one more shift—U.D.’s closing night in 1985. On closing day, students and alumni came out to say their goodbyes, taking home menus, meal cards and photographs off the wall as keepsakes from their favorite college haunt. Grandma Jean’s Ice Cream parlor opened in the U.D.’s place, and the building went on to house Big Jim’s Diner, Cavalier Diner and Cafe Europa, all now closed. While the one true U.D. Grillswith no longer exists, there are plenty of places throughout Charlottesville and beyond that keep the U.D. tradition alive. At Fig Bistro, a Cajun eatery located on the old U.D. site, the Grillswith is made with two glazed doughnuts that are simmered in butter and brown sugar bourbon sauce, and then the warmed doughnuts are topped with organic vanilla ice cream, four different melted chocolates, and a hint of cinnamon and powdered sugar. Around the corner at The White Spot, the dish is listed as “Grills with ice cream” and is made with two Krispy Kreme doughnuts and topped with vanilla ice cream, just like the original dish from the U.D. A few blocks down West Main Street, Blue Moon Diner serves up two versions. The classic is made with grilled Krispy Kreme glazed doughnuts, a scoop of vanilla ice cream and Hershey’s chocolate sauce; the “local” version uses Carpe Donut cider doughnuts and homemade ice cream. The Grillswith is served for breakfast, lunch, dinner and as a late-night treat. “I think people are surprised when they read the description, but if they see one go out to a table, that quickly changes to ‘Can I have one of those?’” says Blue Moon owner Laura Galgano (Col ’98). 46 grams of fat and 36 grams of sugar, the Grillswith is full of unwholesome, fattening ingredients. 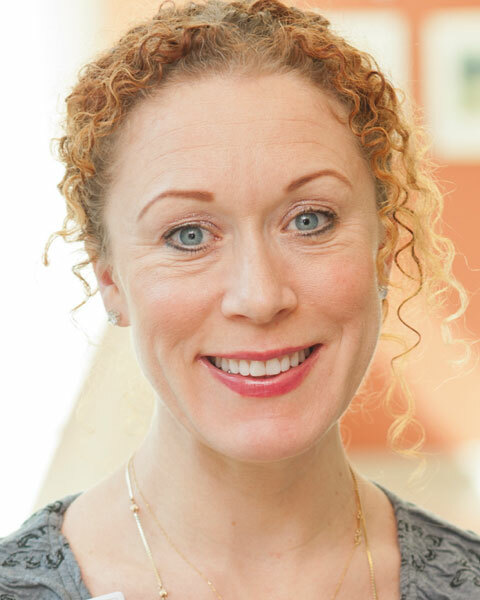 “From a nutritional standpoint, there is nothing good for you here; it’s just pure indulgence, which is necessary every once in a while,” says Katherine Basbaum, clinical dietitian for University of Virginia Health System’s Heart and Vascular Center. Basbaum’s other theory relates to brain chemistry and a neuropeptide called galanin. (Neuropeptides are messenger molecules that carry information to neurons in the brain.) “Alcohol intake results in increased galanin production, and galanin increases appetite for fats,” she says. Marissa Hermanson is a freelance writer based in Richmond, Virginia. It is so great to see a picture of Ethel after all these years. She was so friendly to us as college kids. I’m sure we weren’t the best tippers in those days either. And she did have great gams! I attended The University from 1958-1963 and don’t remember ever hearing about the “grillswith” ! Of course, being in the “E” School, I didn’t get out much (I also never saw any “purple shadows on the lawn”). :) ! I took my late-night snacks at the snack bar in the basement of Bonneycastle House. When I did go to The Corner for an evening meal or late-night snack, my favorite places were: “The College Inn” and “The White Spot”, respectively. Eating at the U.D. in early June 1956, preparing for Med School exams with some Med School buddies, one tune on the old U.D. jukebox, “Mystery Train” by a certain ” E Presley”, intrigued me. I asked, “WHO is that?” “Come on, Linc, we got to study”. So I did. I like to think that I was the first in Charlottesville to appreciate “E Presley”! I also recall the Grillswith being a feature of Kappa Alpha Theta sorority’s rush parties in the late ‘90’s. I wonder if it still is? Ethel Mae was not a pretty woman but, oh my god, what legs !! she always wore mini-skirts and you never messed with her. And she had a smile that could melt butter. The “grillswith” to which you refer is a delicacy I first had in 1957 at the Howard Johnson’s restaurant on US 29. Never saw it in town before. Mrs. Glover was its fabulous advocate. We still make it at home occasionally. In the late 60s those of us in the School of Architecture often left our studio about 2 or 3 in the morning to grab some grub and my choice was always what we called “grillies” not “grills with.” The doughnut(s) were dripping with honey, grilled with butter and finished with a scoop of vanilla ice cream. The honey crystalized, of course, and the concoction was loaded with enough calories to get me through the rest of night at my drawing board. Then, about 7am, I was off to breakfast and, frequently, another full day on the drawing board (or maybe a class or two, if I really had to) and the prospect of another late night snack of grillies. I may be wrong but the diner at that time was the only all-night eatery on the Corner. Mr. Miller, you might be thinking of the former University Cafeteria on the Corner, or “UniCaf,” which had the meat-and-three buffet. I remember Ethel! Am I wrong in remembering she always wore very pointy shoes? 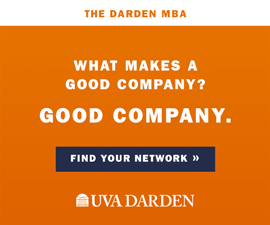 I was at U.Va in the mid-fifties and well remember eating at the UD. Dinner cost $1.75 and included meat plus three sides and iced tea. I usually chose the meatloaf, green beans, and two scoops of mashed potatoes. The grillswith had not been invented at that time, unfortunately. I also remember coveting Alma’s pink 1956 Lincoln convertible, which was always parked out front. You just brought back some great memories! It’s not “a grillswith.” It’s simply grills with. 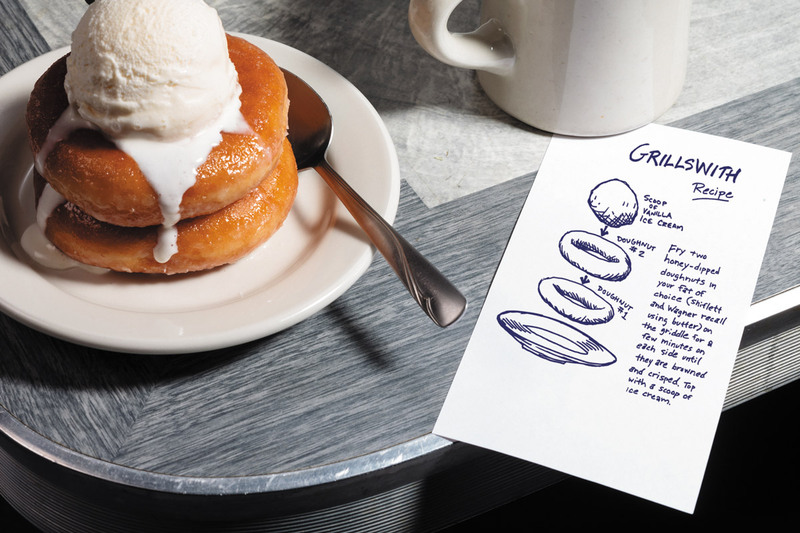 That is, an order of grills (i.e., grilled doughnuts), with (i.e., with ice cream). Thus, in the year 1976, one would say to Ellwood Breeden: I’ll have a one-eyed bacon cheeseburger, an order of piping-hot french-fried potatoes, and an order of grills with.” And Mr. Breeden would know I wanted ice cream on my grilled doughnuts.